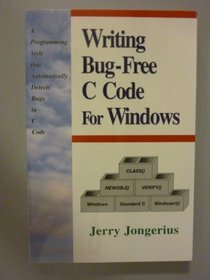 Advocating a style of C programming based upon data abstraction (classes) and run-time object verification, this book describes a technique that results in virtually bug-free code from the beginning. It details the key to writing bug-free code: the class methodology with run-time type checking. In support of this methodology, the book covers creating a new heap manager that is rock solid. This book teaches a style of C programming based upon data abstraction and run-time object verification and, also describes a techniques that results in virtually bug-free code from the beginning.